Oh, a 2:1 was it? 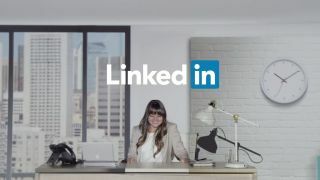 If your LinkedIn profile is chock-full of half truths about your degree and slight exaggerations about your past experience, you might want to look alive. The business-based social network has bought a patented interactive fact-checking system that will put the facts you add to your profile through a lie detector test. For example, if you said you "won second prize in a beauty contest", the system would check the results of the contest, and ask you for more information if it can't instantly verify your claims. If it turns out that you actually didn't place in the beauty contest, the idea would be to prevent you from publishing that false information. Obviously this won't be perfect; it's unlikely that every university ever will give LinkedIn access to their degree records so it won't be able to check that you got the degree you said you did from the university you said you attended, but at least it shows some willingness to cut the internet's propensity for spreading untruths. You might as well save it a job and just start telling the truth from now on. Come on, own that 2:2.